ZK-AMC. 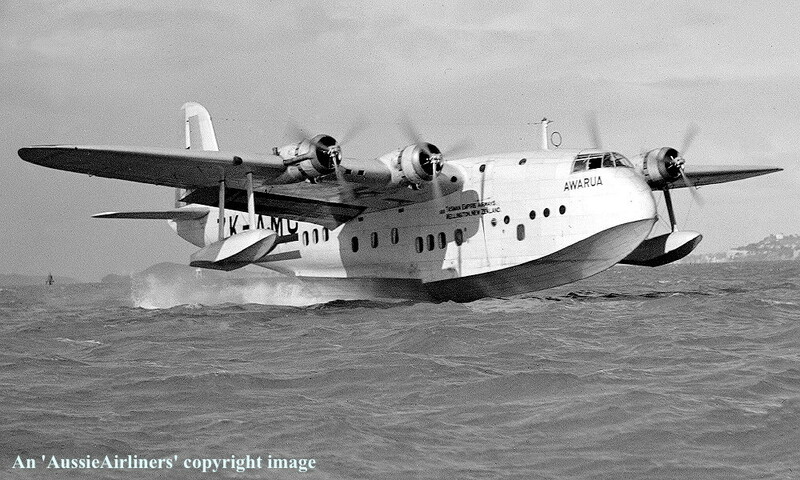 Short S-30C Empire Flying Boat. c/n S.884. ZK-AMA. 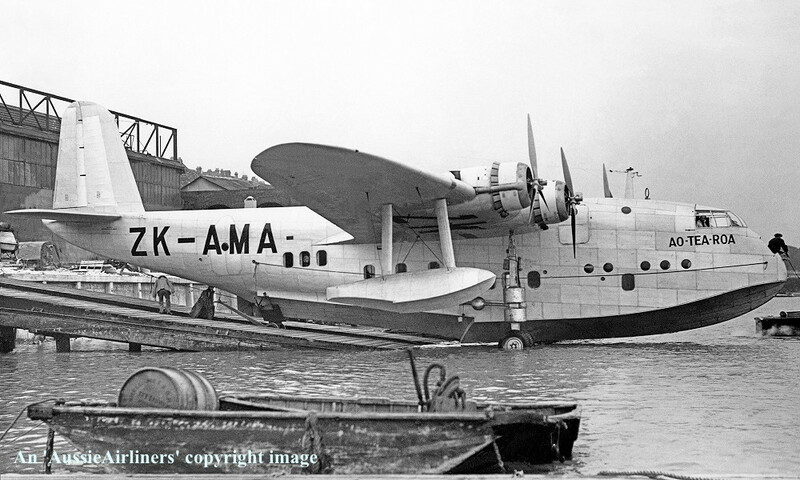 Tasman Empire Airways Ltd - 'Ao-tea-roa' in the standard livery at Rochester, April 1939. ZK-AMA. 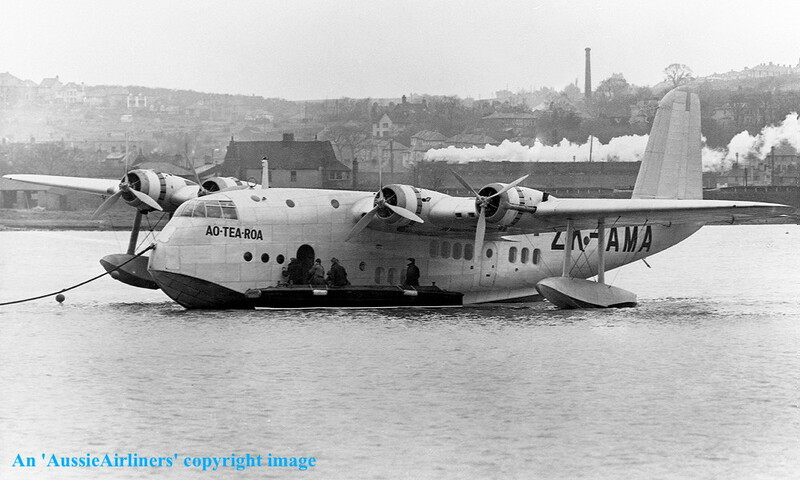 Tasman Empire Airways Ltd - 'Ao-tea-roa' in the standard livery on the Medway, Rochester, April 1939. G-AFCY. 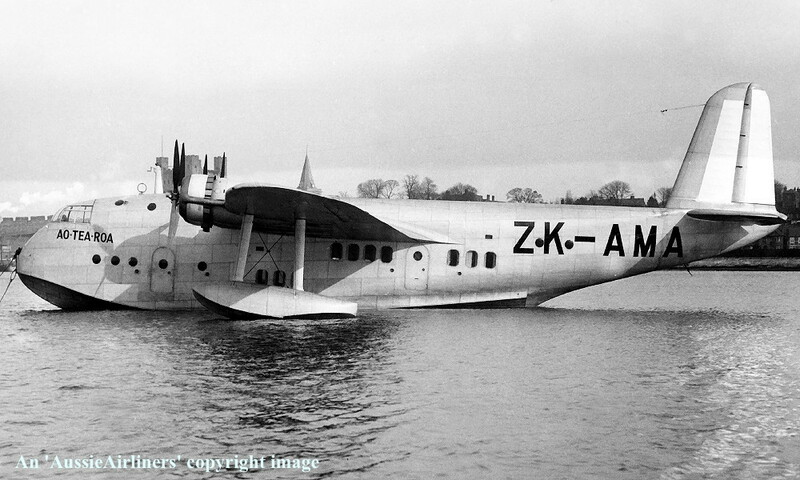 Imperial Airways Ltd - 'Ao-tea-roa' in the standard livery at Kent, circa 1939. ZK-AMC. 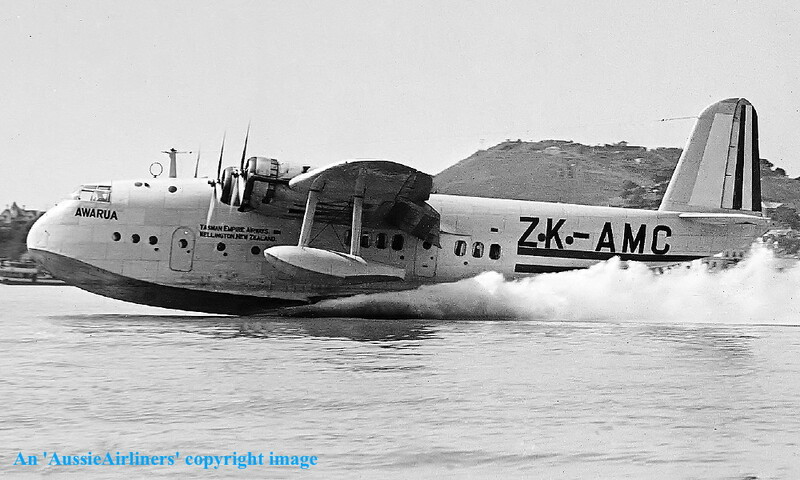 Tasman Empire Airways Ltd - 'Awarua' in the standard livery at Rochester, date unknown. ZK-AMC. 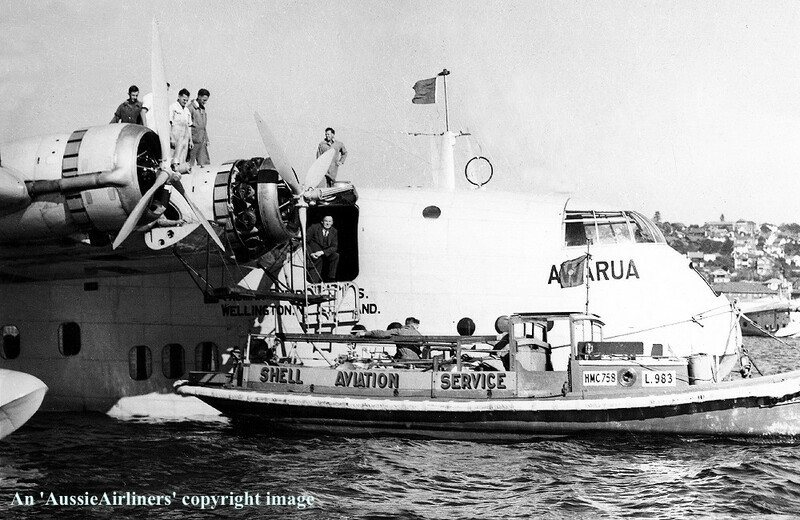 Tasman Empire Airways Ltd - 'Awarua' in the wartime livery at Auckland Harbour, April 03, 1940. ZK-AMC. 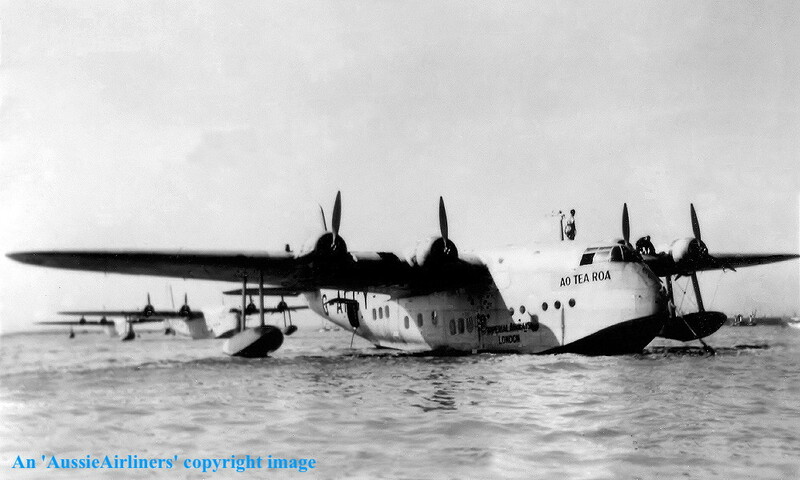 Tasman Empire Airways Ltd - 'Awarua' in the wartime livery at Auckland Harbour, circa 1940. ZK-AMC. 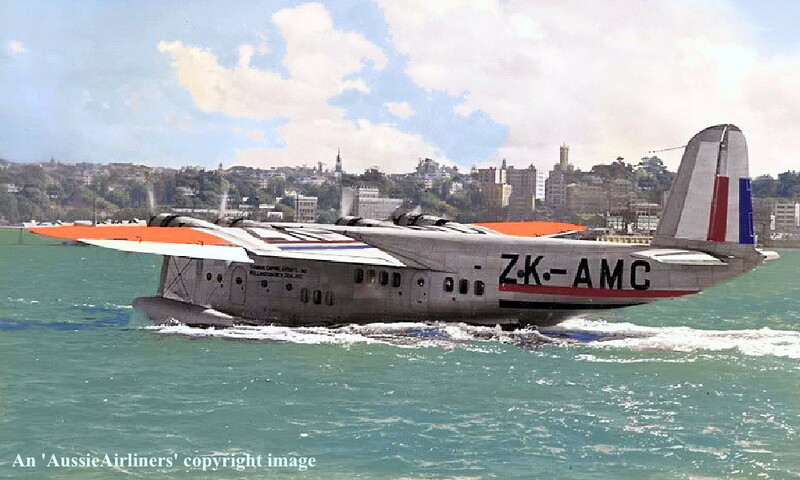 Tasman Empire Airways Ltd - 'Awarua' in the wartime livery at Sydney Harbour, date unknown. ZK-AMC. 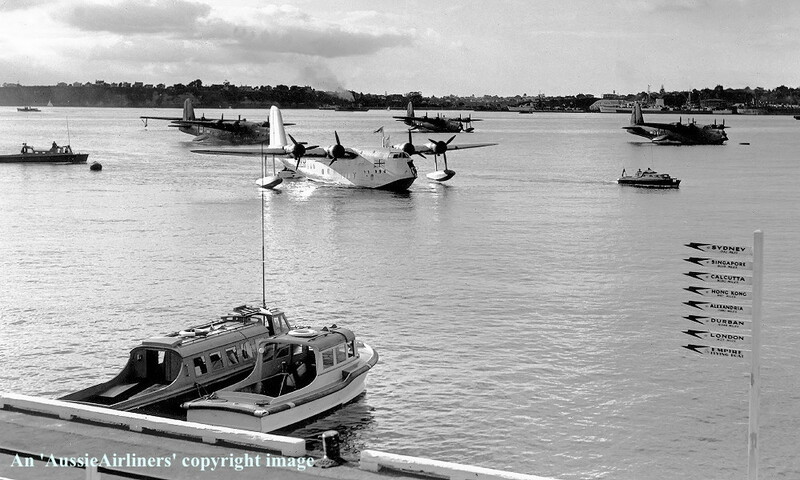 Tasman Empire Airways Ltd - 'Awarua' in the wartime livery at Auckland Harbour, circa 1941. ZK-AMC. 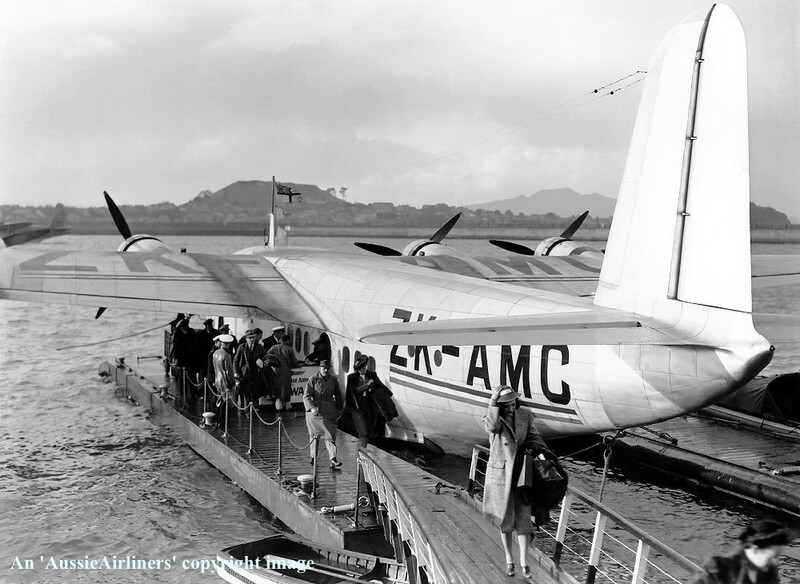 Tasman Empire Airways Ltd - 'Awarua' in the wartime livery at Auckland Harbour, May 1945.